We are looking inquiries in Bulk Quantity. Size- 28mm Applications- For Mineral Water bottles. 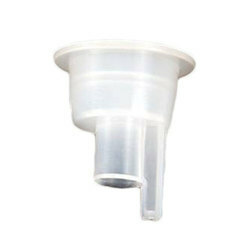 Owing to our expertise in this field, we offer our assortment of Bottle Accessories (Item Code: 08) in the latest design. These are available with gold polished outside body and are widely known due to their durability and precise dimensions. Further, our clients can also use them as a show piece in the houses as well in their offices. Made on SACMI Machine. Available in all colours. We are instrumental in offering Tinplate Closure to our clients. Our Tinplate Closures are beautifully decorated due to the extra width of the side walls. They have firmly positioned ourselves as one of the distinguished heat shrink joints suppliers from India. These are available at affordable prices. Color: Red, Yellow, Blue, White. Available Colors: Pink, Red, Green, Blue etc. We are instrumental in offering varieties of Aluminium Cap, that find wide applications in soft drinks and . Furthermore, these cater to the demands of various industries such as pharmaceutical and chemical. In order to meet the varied demands of consumers, we provide these products in numerous sizes and thickness.